What are your plans for the school holidays? How about taking the family to Cairns for a little winter sunshine? Tigerair Australia’s is having a three day countdown sale. For the rest of the week Tiger Air is offering never heard of prices for air travel. Today, 25th June you will find fares from just $30. Tomorrow they will be $20. Friday selected fares will be just $10. An interstate Gourmet Getaway with the family this school holidays just got so much more affordable. There are thousands of seats available but be quick, I am sure these great deals won’t last. Mr GG and I have taken advantage of some great Tiger airfares in the past. I’m so pleased we now have some real competition in the Australian airline industry. Operators such as Tiger Air are allowing more people to travel, more often. 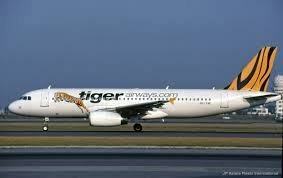 *Check the Tigerair website for full details. I hope all my lovely readers take advantage of these great deals. I will be checking out the Brisbane to Cairns option. Even though I can only spare a long weekend, at these prices it’s too good an opportunity to miss out on a mini Gourmet Getaway. Please note this is for the information and benefit of readers. Gourmet Getaways has not received remuneration for this story.